My friend Sonya has recently started a business focusing on canine nutrition in her home town of London, ON. Check out Canine Clarity for information on feeding for a healthy dog. Sonya maintains an excellent blog on nutrition and other topics. This post, 5 important reasons to ADOPT, is exceptionally well articulated and really gets to the core of why pet adoption is such an important alternative to buying a dog. 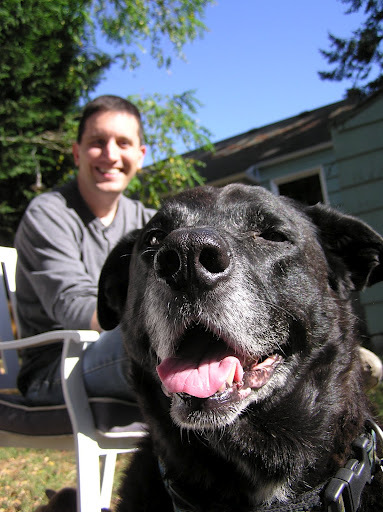 Also, this blog post is particularly special because my sweet, old dog Duchess is highlighted at the end. 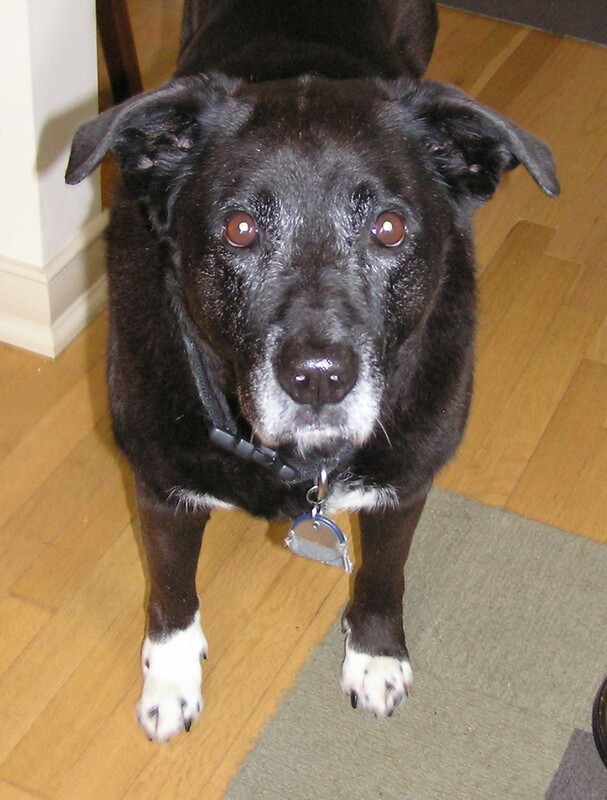 Please take a moment to read Sonya’s article on pet adoption and check out Canine Clarity! As I scan home-décor magazines at the dentist’s office, I’m drawn to pictures of a canonical living-room scene showing a clean, white couch, perfectly placed antique blankets and flowers on a delicate, glass coffee table. Pictures such as these are frequently punctuated by a shiny, black Labrador lying calmly on a conspicuously hair-free, tan carpet. While I’m sure this picture was not computer-generated, those of us with pets know that our homes are usually not this pristine. As a longtime pet owner, I have always felt my home’s interior design was destined to exist underneath old sheets on the couch, shakable rugs and sacrificial linoleum. I have two big, black dogs and one tolerant cat — a relatively modest animal family by Seattle standards — and between my three musketeers, the level of hair production can reach stifling levels by mid-November, when shedding fur has moved from a hobby into a full-on, refereed sport. Now, as we move into spring, I fight a constant war against mud. While my 15-year-old Rottweiler-cross, Duchess, is content to wipe her feet at the door and remonstrate me with “sad eyes” for taking her out in the rain, my 4-year-old, boxer-greyhound mix, Toby, is still perplexed by the problem I have with mud shaken on my white walls like Jackson Pollock art. My cat, Buca, thinks she is on my side of the home-protection plan as she tiptoes around snoring dogs. But her natural tendency to vomit up hairballs in strategic places and the unnatural desire to shred dry wall frequently reminds me that we don’t see eye-to-eye on what is considered sacred ground. I had to find a better way to live with my pets and care for my home. I needed some advice. I recently paid a visit to my friends Sandy and Phil Krutsinger. They live just north of Seattle and work tirelessly day in and out caring for a motley crew of precious dogs. 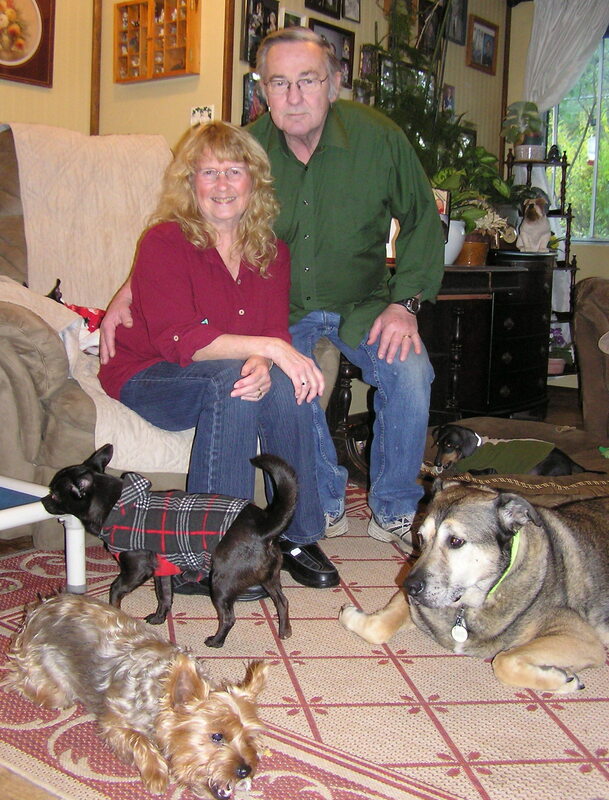 The Krutsingers are volunteers for Washington state-based Old Dog Haven. Their organization takes old dogs out of shelters and cares for them indefinitely or until an adoptive home is found. In their modest, 1,100-square-foot home, the Krutsingers have made an art out of living with eight to 10 dogs at any one time. For living-room rugs, the Krutsingers have it dialed in. They brought a stylish, rattan rug (typically used for covered porches) indoors and reap the benefits that no dog can destroy the living-room “carpet.” The tidy, maroon-and-tan rug fits perfectly in their décor. “Baskets are the key to living-room organization.” I once read this in a home décor magazine, and the Krutsingers know this too well. Three large baskets separate the dogs’ toys, the dog bones and the dogs’ balls and sit in three corners of the living room. Dog-accessory problem solved. Easy cleaning is always good advice, and the Krutsingers found that a lightweight, rechargeable, bagless vacuum (the size of a carpet sweeper) works best to clean up in minutes. This explains the lack of free-range fur in the Krutsingers’ home despite the number of furry inhabitants. 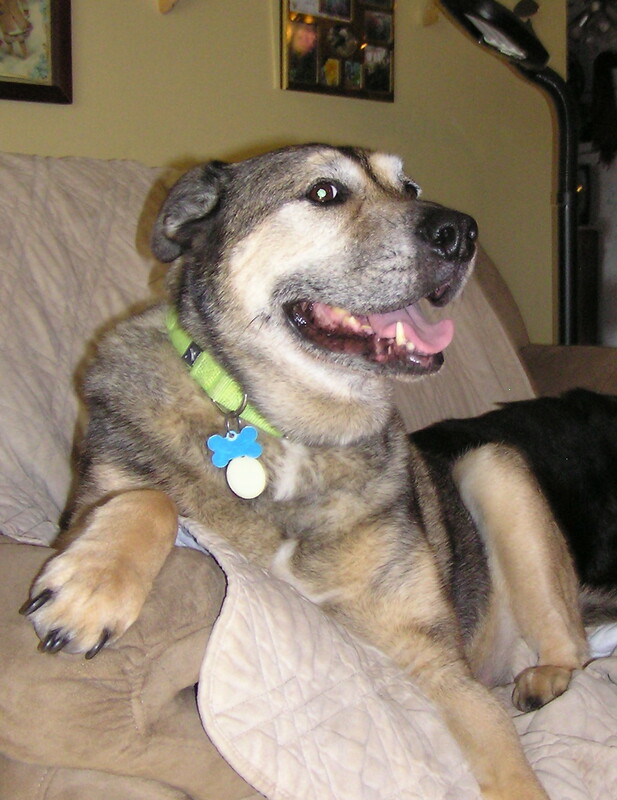 Duke, one of the Krutsinger’s Old Dog Haven dogs, enjoys life on the couch. “Stylish slipcovers can come in handy if you have nice furniture as they are easily washable. Plus, when company comes, you can pull them off, hide the covers and there is your nice furniture!” Sandy explained. So, inspired by my friends’ ingenuity, I started the quest for style and livability in my pet-filled home. Laminate flooring has come a long way, and my husband and I found that a simulated-wood floor could take what our pets could dish. It mops like linoleum but looks like hardwood, without any dents caused in wood floors from Toby running in and out of the house at top speed. Plus, Buca’s accidents outside the litter box are of no concern to me now. Today’s laminate floors are made for pets. In recent years we have been through two semi-durable rugs for the living room. The first one, a small, long-pile rug, was eaten by Toby when he was a puppy. I don’t mean metaphorically: Toby actually pulled out the pile and ate it. Short-pile rugs seemed like a good idea until Toby’s tail-chasing began. It turns out that low-pile that is not well secured gets scratched out by dog claws. Then my sister suggested a sturdier alternative: carpet tiles. Our research led us to a company that makes carpet tiles of all piles, colors, textures and patterns. We bought rubber-backed carpet tiles with sewn-in, quarter-inch pile. Six months into our trial, the tiles had been tested with cat claws, dog claws and liberal amounts of fur. Amazingly, there is no sign of damage, and the tiles release fur easily with vacuuming. Wipe-able wall paint by our back door solved Toby’s mud-painting aspirations, and a hand-held, wet-dry vacuum is a good investment for hairball spots on the carpet. Washable rugs are always a simple fix for hardwood floors that collect fur, and the application of clear, double-sided tape to walls or trim surfaces discourages their use as a scratching post. Of course, there are many more solutions to living with pets, and I have more to implement. In the meantime, I’ll encourage the Krutsingers and their eight dogs to write us a book on practical dog cohabitation. 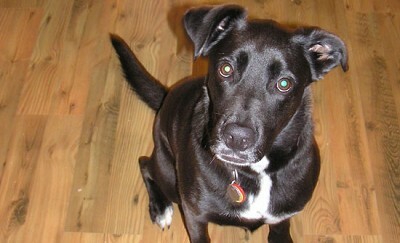 For more information on Old Dog Haven, visit its website at www.olddoghaven.org. CHRISTIE LAGALLY is a freelance pet columnist who writes a blog called “Sniffing Out Home: A Search for Animal Welfare Solutions” at http://www.sniffingouthome.org.